Image is a “mental conception” of a person or an organization. A person’s overall “image” consists of variety of factors like clothing, grooming, tone of voice, vocabulary, facial expressions, body language & etiquette. Public opinion about Company’s Image can be influenced by their advertising, branding, logo designing retail stores and customer care representatives. Your Image directly affects your credibility, capability, likeability and perceptions’ made by others about YOU. “Brands are built on what people are saying about you, not what you are saying about yourself”. ﻿Who are you? Who cares? Yes you should care about who you really are and how are you projecting it to the world. Human’s initial judgement are solely dependent on the perceptions and the sensory receptors which signal the brain to make snap decisions about an individual’s authenticity, credibility, abilities, values and trustworthiness. 1. MAKERS: Those who understand the importance of personal branding and self packaging, continuously make efforts and invest in upgrading self. They work on their strengths and weaknesses and stand out from the crowd by making their unique value proposition, communicating it to the world and creating their own niche. 2. DEFAULTERS: Those who are unaware of the concept of personal branding and don’t really care much about self effectiveness and self marketing. These individuals get labelled by other people based on their individual perceptions. How do people perceive you as a human being? What mental picture they frame about you? Does your network really know you and your services? How is your social media and online presence? What differentiate you from others? How confidently you communicate the promise to the world? Are you a go-to guy? How good you are at building rapport & emotional connect? Your brand is your REPUTATION and we all know that it is very important to have a good reputation. 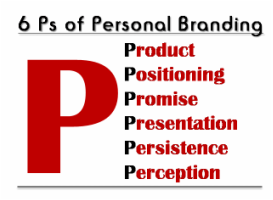 Perception is everything, so if you do not proactively brand yourself then others will assign a brand for you by default. If you have answers to these questions then you could easily make out how strong your brand is and what key areas of it need amendments. A brand is not a logo but it is the collection of perceptions in the mind of the consumers. Brands create consumer trust and emotional attachment. Brands are promises to the consumers. Your brand is not just how you look, what you say or what you sell. Your brand is what people believe in what you stand for. Whether you are into direct sales, embarking a new entrepreneurial venture, working at a distinctive position in a company, looking for career momentum, finding better job opportunity, doing Business; a brand paves the pathway to success by creating awareness of your unique and meaningful promise before you ever present your sales proposition. Your Image is more than just the way you wear your clothes. Everything you wear makes a statement about you. People initially judge the way you look. 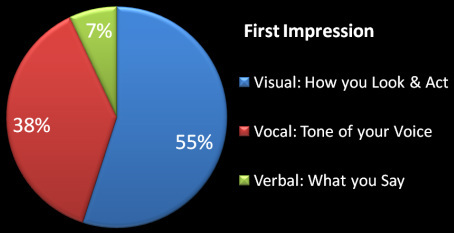 Impressions regarding your competence, intelligence and reliability are formed within seconds based on your appearance.